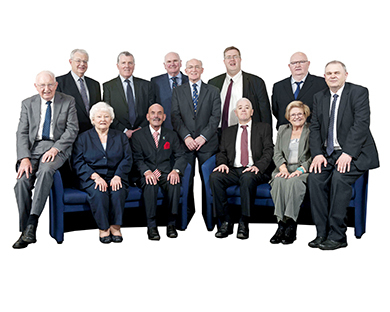 The Scotmid Co-operative Board consists of 13 directors, who meet regularly throughout the year with the Chief Executive in attendance. The Board ensures the Society’s affairs are conducted in the best interests of the Society and its members, and in accordance with the Rules and the Co-operative Values and Principles. Regional Committees are responsible for providing nominees to serve on the Board. At the Ordinary General Meeting, the members then elect the Directors to serve on the Board from the nominees provided by the Regional Committees. Nominees must hold £50 in their share capital account at time of nomination, have served on a Regional Committee for two years and undertaken core training, as defined by the Board. 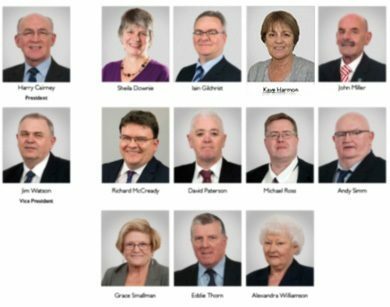 Six directors are elected by members in the East, five are elected by members in the West and one is elected by members in the North. Directors usually serve for a term of three years. The Board is chaired by a President who is supported by a Vice President. Both posts are elected by the Board of Directors. The Board of Directors employs the Chief Executive Officer to run the business. 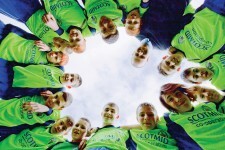 Apply for a community grant from Scotmid Co-operative.